You might recognize up and comer Ben Hazlewood who was a finalist on “The Voice Australia: Season 1.” Since then, he’s been working the globe from London to Nashville and recently brought his voice to The Satellite in Silver Lake. Visiting The Satellite (formerly Spaceland) always brings back memories of really great bands who got their start there at the venue’s free monthly Monday night shows. Mondays has long been the venues night to see up and coming talent and it was relieving to see that this Monday was no different. In fact, if you ask me, Monday nights is one of the best nights to see upcoming singers all over Hollywood. 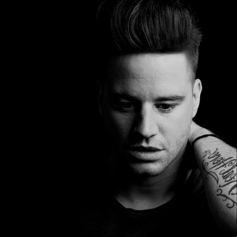 Ben is a contemporary pop artist and independent songwriter, originally from New Zealand, who has been singing since he was just five years old. He got his first big break on The Voice, where he was coached by Joel Madden. I’ve always been a fan of The Voice, having visited the set of the The Voice (US) several times. It’s a show that features high level raw talent who have the real potential to become successful. In watching Ben perform, it’s clear to see he has something that sets him apart from many other singers; his voice is very strong and smooth. I could hear lots of traditional classic rock influences. His performance included his new single “Wanted,” which he recorded with longtime collaborator and friend Duncan Sparks. “Wanted is a song about unrequited love and the angst and frustration, the desperation that comes with it,” Hazlewood says. “It’s a powerful plea to the person you feel more for than you have ever felt before. The last cry for a change that you anticipate may never come.” The song really touched me deeply and made me think of lost lovers and family which have gone away, but in a good way! Ben’s music has the ability to put you in touch with certain bottle emotions, the ones you need to revisit from time to time. “Wanted” is the beginning of plenty to come from Hazlewood, who has recorded a wealth of material for his first album, targeted for early 2016. Stay up to date by visiting Ben’s website.